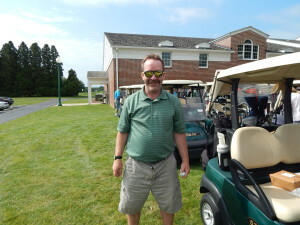 The SHC 2nd Annual Golf Outing was a huge success. What makes the event unique is that individuals with developmental disabilities played in the tournament as well. This year ten individuals gave it their best shot on the greens, the driving range and the putting area. After fun on the course was over, there was a steak dinner, awards banquet and chance raffle. Golfers and dinner guests enjoyed the festivities, which raised awareness and funds for the SHC Foundation. The Foundation was created to provide financial support for SHC’s programs and services. A special thank you goes out to all that made the event possible: sponsors, volunteers, and the Golf Outing Committee! See you next year! !